DETROIT -- Fiat Chrysler has begun assembling diesel-powered Ram 1500 pickups again for the first time in months, workers at the company's Warren Truck Assembly plant in Michigan say, though the automaker and environmental regulators in the United States and Canada have yet to resolve a dispute over alleged excess diesel emissions and undeclared emissions software. Workers at the suburban Detroit factory told Automotive News that the plant is producing fewer than two dozen 2017 Ram 1500s per shift powered by the 3.0-litre turbodiesel V-6, previously marketed as EcoDiesel. It is unknown whether Ram will resume use of the EcoDiesel brand name for the engine after it receives approval to sell the light-duty diesel-powered pickups. Recent mules of the Ram spotted in metro Detroit carry new badging that simply says "Diesel." The plant stopped building EcoDiesel Ram 1500s in the middle of 2016 after the U.S. Environment Protection Agency raised questions about undeclared emissions software in 2014-16 EcoDiesel Ram 1500s and Jeep Grand Cherokee SUVs. In January, the EPA hit FCA with an official Notice of Violation over the software, which it said illegally altered vehicle emissions under certain circumstances. About 39,000 of the diesel-powered 2014-16 Dodge Ram 1500 trucks and Jeep Grand Cherokees in Canada carry the same diesel emissions control equipment that U.S. regulators say has been installed in FCA trucks in the United States. In May, the Department of Justice's Environmental and Natural Resources Division filed a civil suit against FCA over undeclared diesel emissions software. Canadian regulators continue to investigate but hasn’t made a decision — at least not publicly — on next steps. FCA has said it is working with the EPA and California Air Resources Board "to clarify issues related to the Company's emissions control technology." On May 19, the company formally sought certifications from regulators to put its light-duty diesels back on sale. The Ram 1500 diesels being produced will likely be used to refill dealer stocks when FCA is cleared by regulators to sell diesel-powered light-duty pickups. 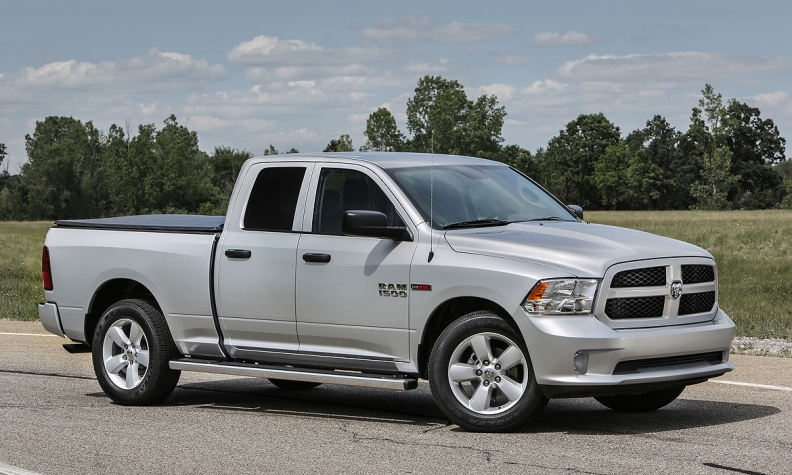 A spokesman for FCA declined to comment on the status of diesel-powered Ram 1500 output. However, the company did say in late May that it "has developed updated emissions software calibrations that it believes address the concerns of EPA and CARB, and has now formally filed for diesel vehicle emissions certification with the regulators for its 2017 model year Jeep Grand Cherokee and Ram 1500 diesel vehicles. Subject to the permission of EPA and CARB, FCA US intends to install the same modified emissions software in 2014-2016 MY Jeep Grand Cherokee and Ram 1500 diesel vehicles. FCA US believes this will address the agencies' concerns regarding the emissions software calibrations in those vehicles." The truck segment remains hot in Canada, where sales surged 21 per cent year-over-year in June, pointing to improving prospects for business investment, especially in the Alberta oil patch. Nearly one-third of all pickup trucks sold in Alberta are bought for business purposes, Scotiabank said Wednesday. Meanwhile, Ford F-Series marked its best June on record with 15,660 sold, an 18 per cent sales increase over last year.